Much ado about a dress! 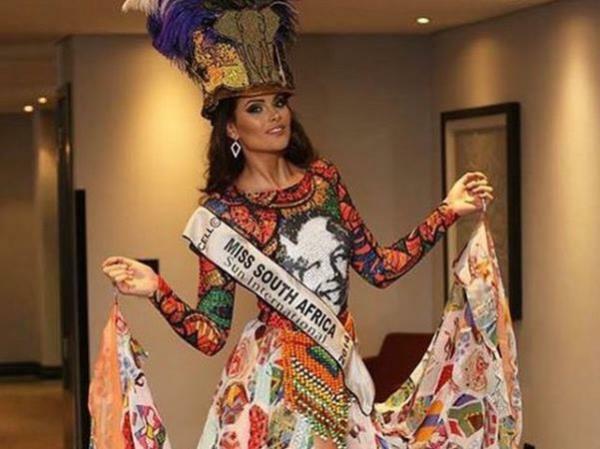 Miss SA Rolene Strauss revealed the national costume she will be wearing at the Miss World pageant in London -- and her fans are not impressed! Former Generations actress Florence Masabe was also less than enamoured. Rolene herself was one of them. "How vibrant is my #MissWorld2014 National Costume?" she captioned social media posts of herself in the gown. The dress was made by students at the Cape Town Fashion design College.